Earlier this week, the 9th grade ladies of the Howard University house enjoyed a trip to the Wynwood Walls for some creative expression! The girls also had a chance to walk around Wynwood and enjoy some of the street art before being treated to some ice cream at Mr. Kream's Hip Hop Creamery! Next week, they'll incorporate some of the pictures they took into their Creative Expressions HALLS lesson! Throughout the second quarter, SEED Miami students have been working on their colorful creations. 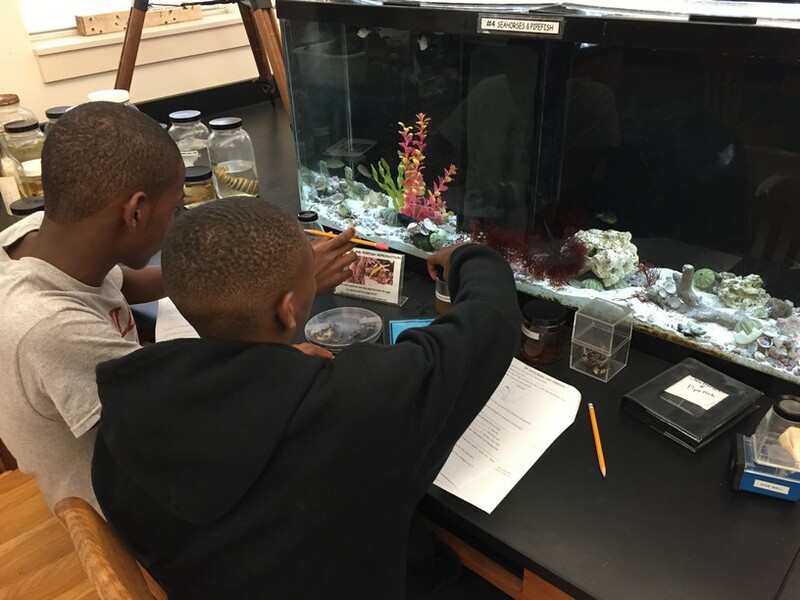 Many students have created more than one design derived from templates that they were originally provided with. Great work! Bess the Book Bus is a mobile literacy outreach which shares its love of learning with children across the country. Last week, Bess the Book Bus visited SEED Miami and gifted each student a book of choice. We all thank you for your generosity! During the Dream Ceremony last week, the students in the Class of 2024 shared their dreams with their peers, staff, families, and supporters within the community. 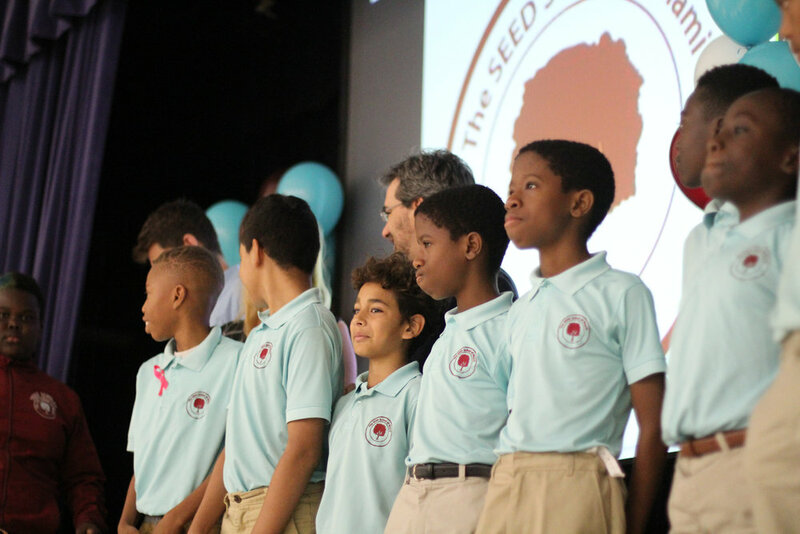 When SEED Miami opened its doors in 2014, our staff consciously built a culture that put our mission and our students at the center of every decision, including their dreams for the future. Our students are already dreaming BIG—like Kemauri, who wants to become a lawyer and open a SEED school, and JP, who wants to become a doctor with the hope of one day finding a cure for diseases. We can’t wait to help them make those dreams a reality! Yesterday our high school football team, led by Coach Farley and Coach McBride, played their first game of the season. The young men played their hearts out, leading for much of the game, before falling short late, 22-20. Although our team was made up of six 8th graders and six 9th graders, they played against 9-12th grade students in the league they are competing in. Joseph Portillo led the offense with 3 passing touchdowns to Marvin Wright, Tavariz Williams, and Vaughn Harris. Gaudner Paul had an interception for the defense. The Class of 2021 has grown up so quickly! Professor Ogle and our 8th grade students helped plan and orchestrate a formal dance to celebrate their transition to high school. It was truly a night to remember. 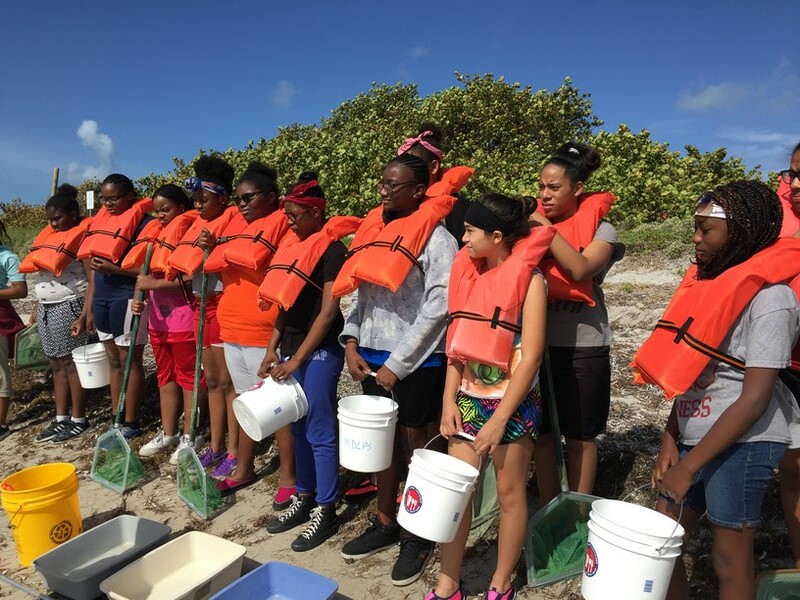 To celebrate the end of the 2016-2017 school year, Professor Diaz and the SEED Store helpers organized a SEED Store Beach Party incentive for students who did not earn a referral that week. 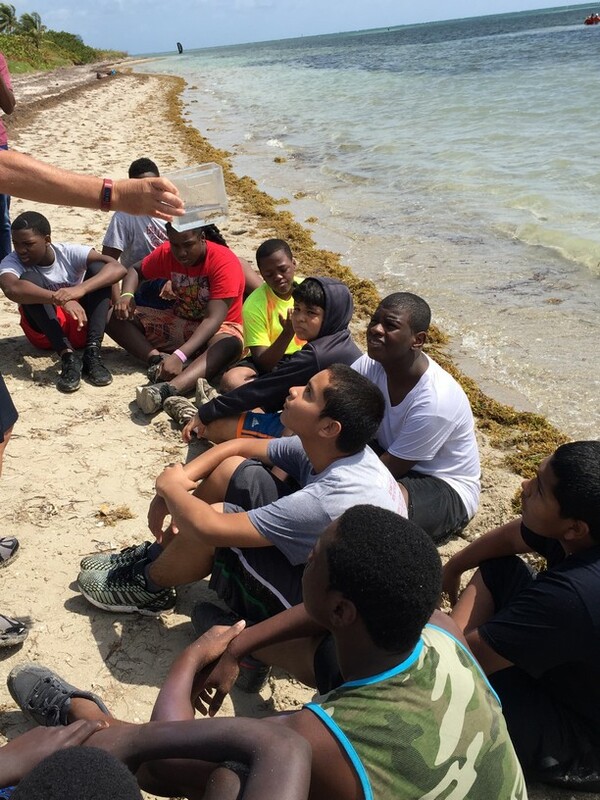 Students snacked on icees, ice cream, and other snacks while lounging on beach chairs. 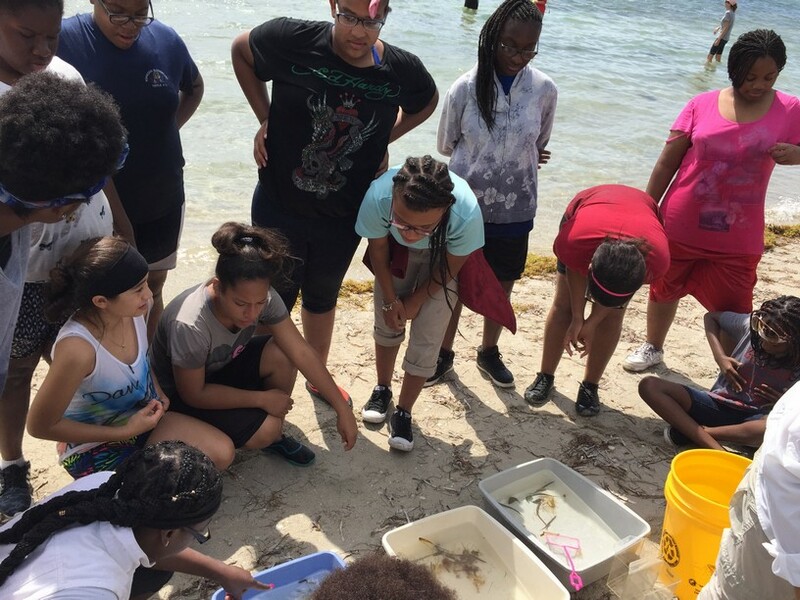 Last week, SEED Miami students visited the Biscayne Nature Center, where they waded into the ocean to further explore the South Florida ecosystem of the Seagrass Bed. 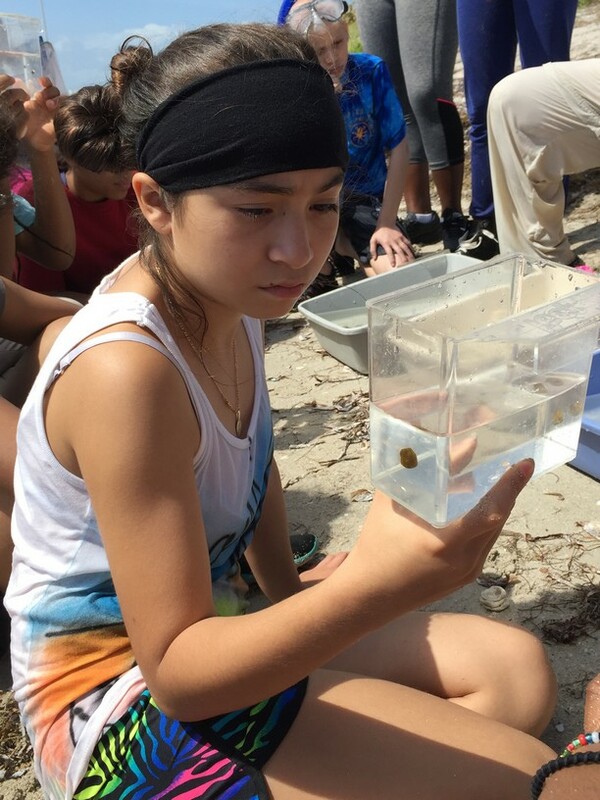 They collected live specimens, such as invertebrates like crabs and Mantis shrimp, as well as various fish species such as Pipefish, Puffer Fish and Trunk Fish. 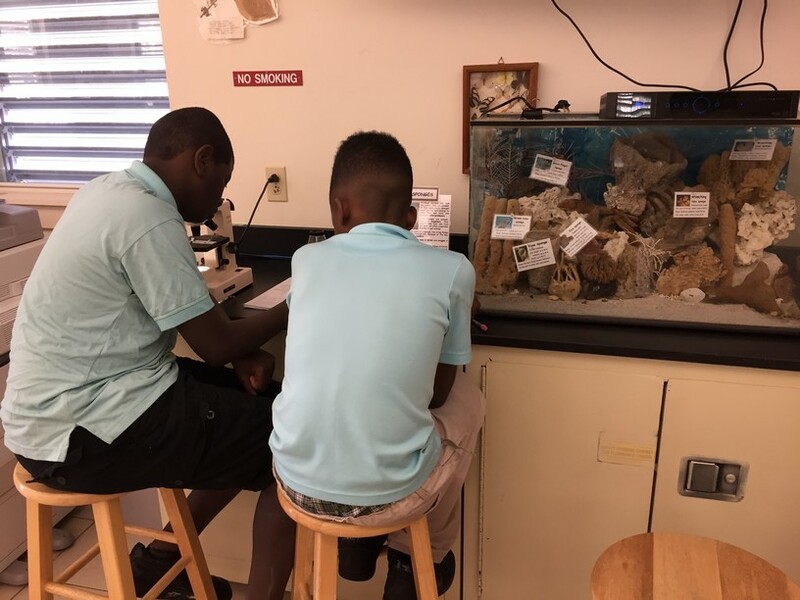 After their collection, students spent the afternoon in a hands-on laboratory, where they learned more about these species as well as other aspects of our South Florida ecosystems. SEED Miami ambassadors and staff presented a gift as a token of our appreciation to the Braman Family Charitable Trust. 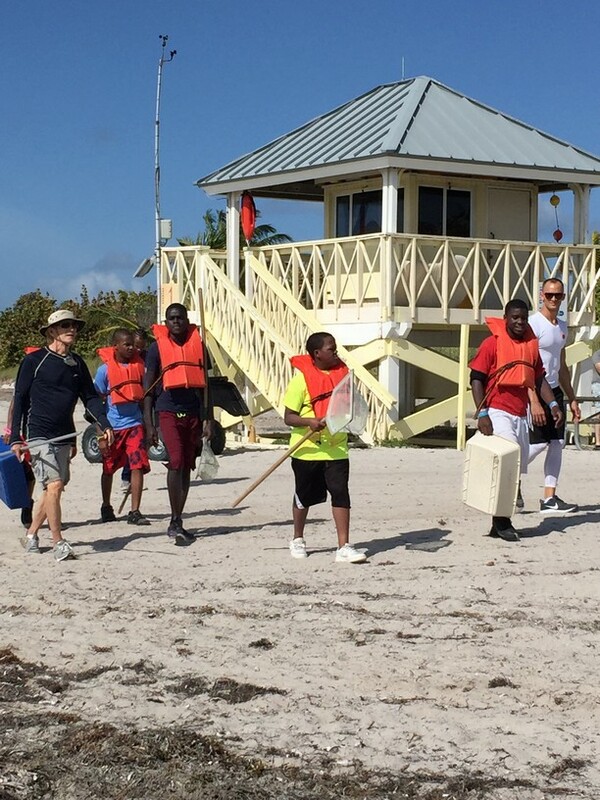 The Braman Family Charitable trust was an early supporter of SEED Miami and we are grateful for their continued support! Along with 1900 other dance enthusiasts in Miami-Dade County, SEED Miami scholars attended a special performance of Alvin Ailey at the Adrienne Arsht Center on February 24th. Superintendent Carvalho reminded students, “Alvin Ailey believes in all of us.” We were inspired to keep dancing thanks to supporters and our generous hosts, The Adrienne Arsht Center, Alvin Ailey Foundation, and Superintendent Carvalho.